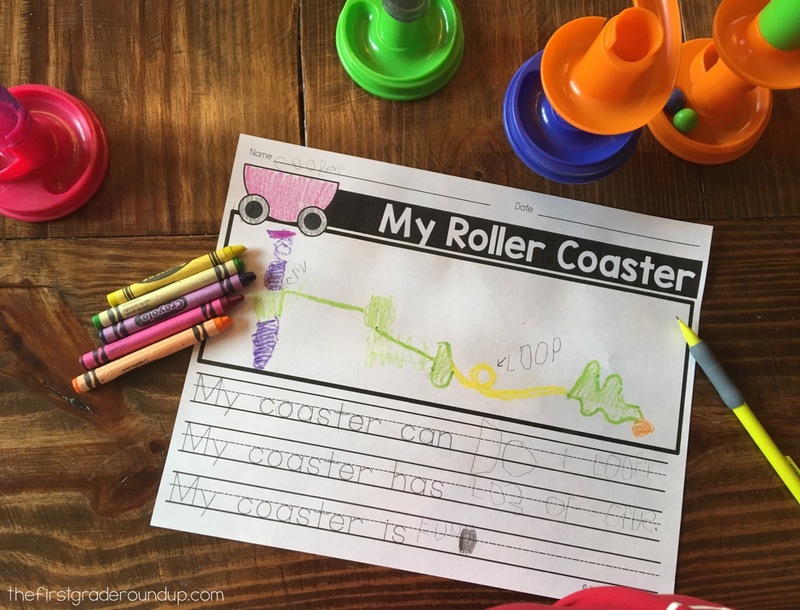 In kindergarten, students learn about force and motion through the Next Gen Science Standards. 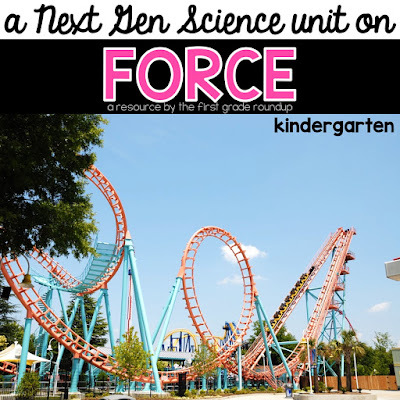 And what better way to explore force and motion than through building rollercoasters? Kindergarten STEM is tricky. We want them to build and explore, but often times they don't have enough experience to build complicated things from scratch. 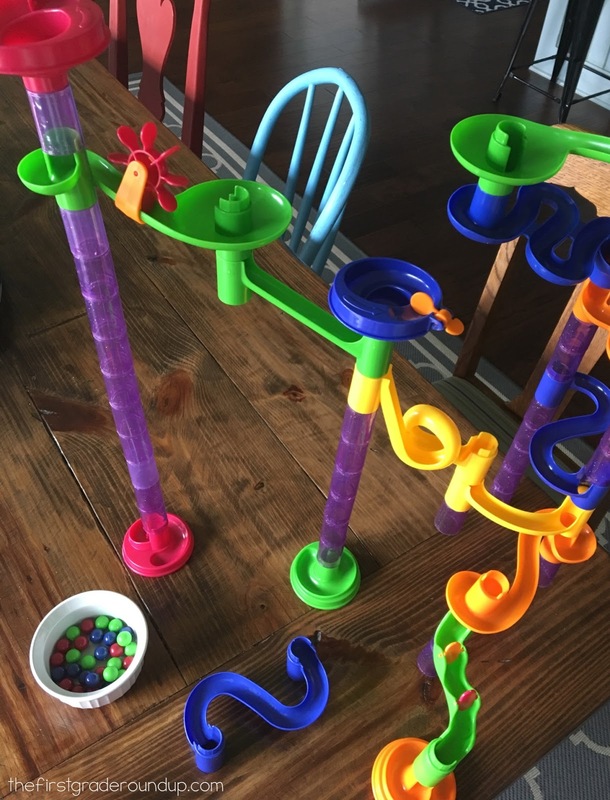 So, when Cooper and I tested out this coaster challenge, I knew his Marble Run set would be the perfect way to make this challenge more accessible for my kindergartner. I read the problem slide to him. And then he planed out his idea. We just orally talked about his plan. And then he got to work building his coaster. 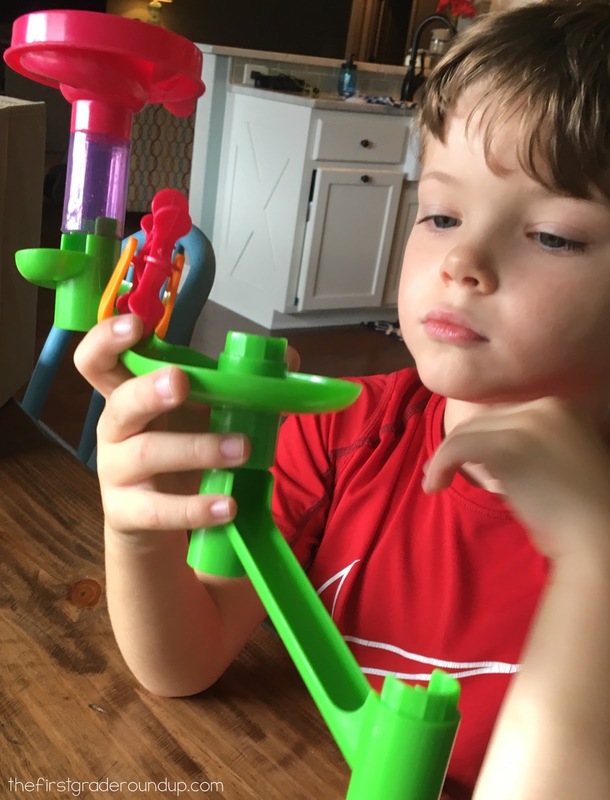 It was a lot of fun to watch his brain and problem solving skills work. Sometimes, the ball stopped its motion. So he had to redirect it or turn the slides a different way. In this picture below, the ball kept falling to the ground after it left the orange twist. He couldn't connect anything else to it, so he rearranged the pieces so that the green piece would just sit underneath the orange twist and "catch" the marble so it would stay in motion on the coaster! I absolutely loved the process my guy had to go through with this project. It was true STEM with build, test, improve, build, test, improve....but with premade materials. 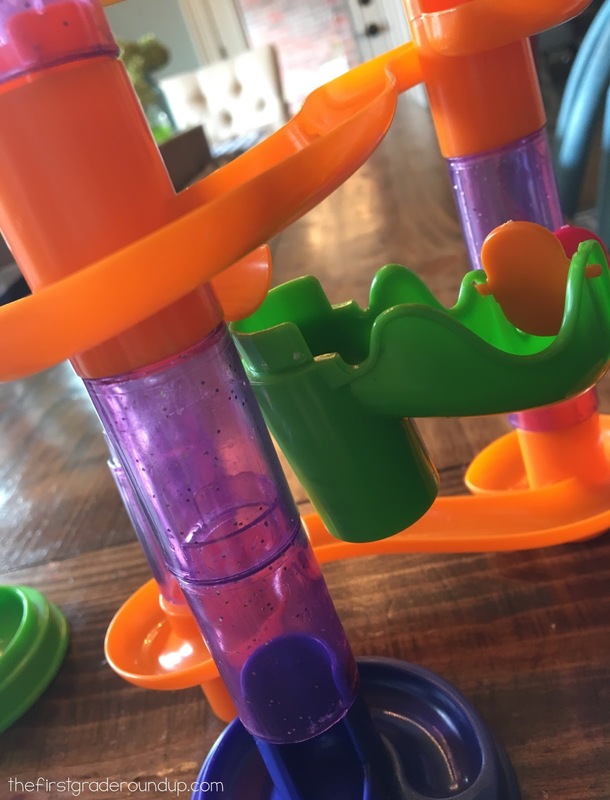 That simple scaffold made the critical pieces of STEM accessible to my kinder kid while still encouraging high level critical thinking skills! 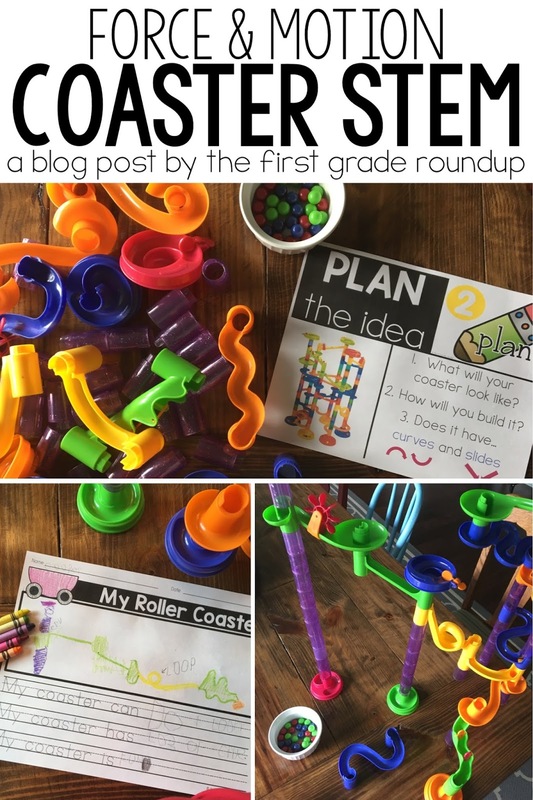 In the classroom, I might limit groups to 10 pieces to build a coaster, but at home with one kid, I was able to be more flexible. And, of course, my kid wanted to use every. single. piece. :) Here is his finished coaster. And the video of how it worked! 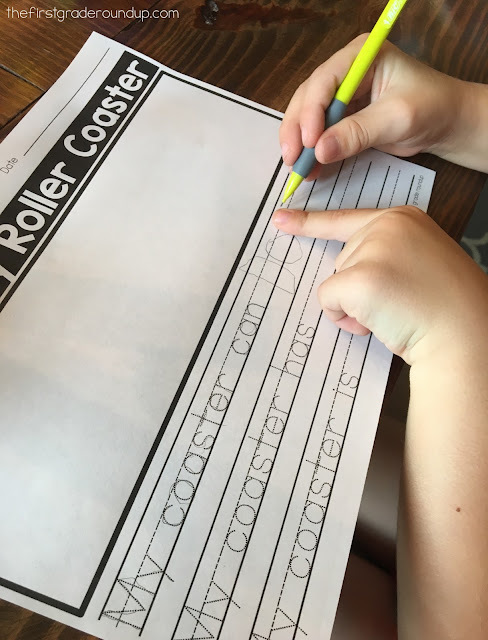 After he finished building and testing his coaster, we wrote about his coaster using the publishing page from the unit with the sentence stems. Finally, he drew the path of his coaster to finish publishing his project! 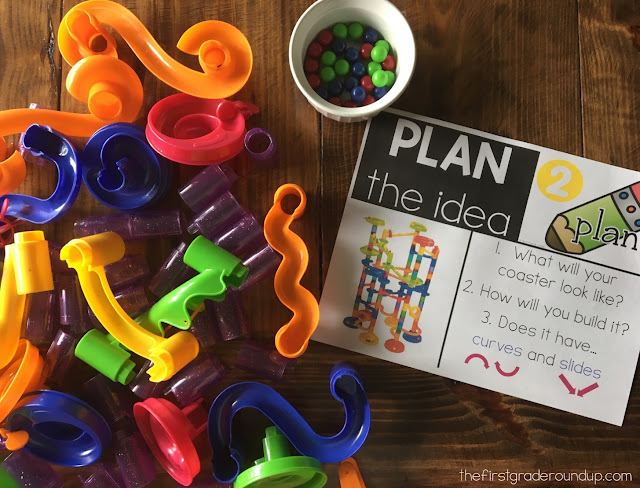 You can find this STEM challenge in this Kindergarten Next Gen Science Unit on Force and Motion.